I'll be in conversattion with three smart and experienced colleagues at another terrific indie bookstore, Housing Works Bookstore Cafe in downtown NYC: Calvert Morgan, Executive Editor at Riverhead Books; Ayesha Pande, agent and owner of Ayesha Pande Literary and former senior editor at Farrar, Straus & Giroux; and Elda Rotor, Vice President and Publisher for Penguin Classics. We'll be talking about what goes inside a publishing house and what writers need to know about it, best practices of the editor's craft, and the ups and downs of editing as a career. Particulars and directions here. I spoke about what editors do, and What Editors Do, at New York’s excellent indie bookstore Book Culture, with contributors Cal Morgan, executive editor at Riverhead Books, and Katie Henderson Adams, senior editor at W.W. Norton’s Liveright imprint. We’ll be joined by Shaye Areheart, director of the famed Columbia Publishing Course, herself a veteran editor and publisher with decades of experience at Doubleday, Harmony Books, and her own imprint at Random House. 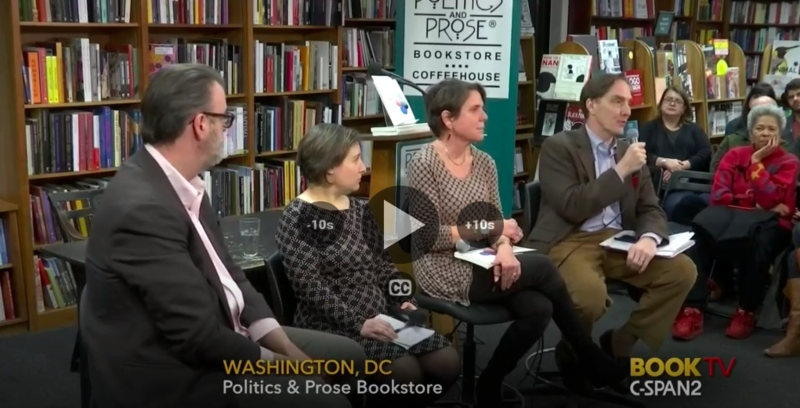 I was joined at Politics and Prose, the magnificent bookstore in Northwest D.C., for a conversation about the editor's craft and the book business. I described the "Three Phases of Editing" as set out in What Editors Do. Susan Ferber of Oxford University Press talked about working with scholarly authors writing for general readers, based on her chapter in the book, "Of Monographs and Magnum Opuses." Cal Morgan of Riverhead talked about the "editor as evangelist," from his chapter "Start Spreading the News." And literary agent Gail Ross, who has handled many Washington heavy hitters and sold many bestsellers, gave us the agent's perspective on what editors do. We had a great discussion and fielded many good questions from a standing-room audience. You can watch the whole thing at the BookTV website--just click on this link.